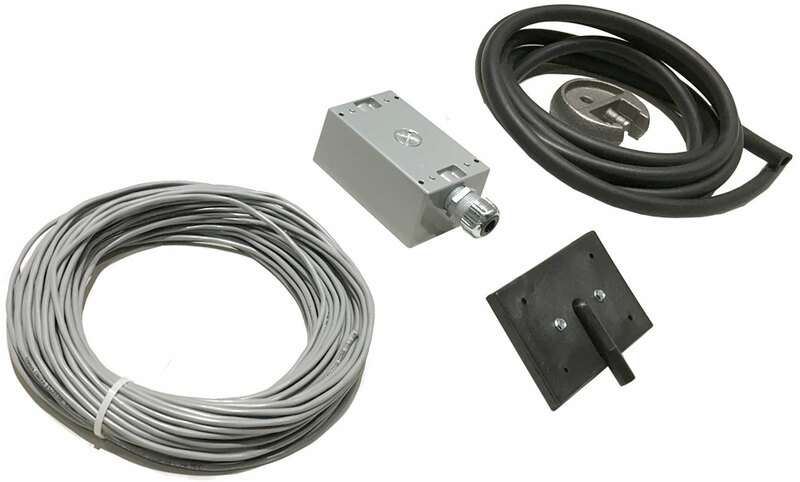 The 853 Air Hose Vehicle Detector is a low-cost, easy-to-install vehicle detection alternative for low-traffic applications. Simply attach the 10-foot air hose to the air switch enclosure at one end, lay the hose across the driving lane and fasten the hose detector at the other end. The air pressure switch is packaged in a weather-resistant metal housing that can be mounted to a flat surface. Hose switch provides instant alert. Weather-tight metal housing for air switch. Durable black 10-foot air hose. 100 feet of 22 AWG 1 pair shielded cable. For one year after you purchase a Marsh Products Air Hose Detector or Air Hose Detector + Buzzer Chime, we will repair or replace (at our discretion) any malfunctioning hardware. The purchaser pays only the shipping to return the malfunctioning part to us. The warranty is void if the product is returned in a damaged state for any reason, including damage that occurs because of a failure to follow installation instructions.